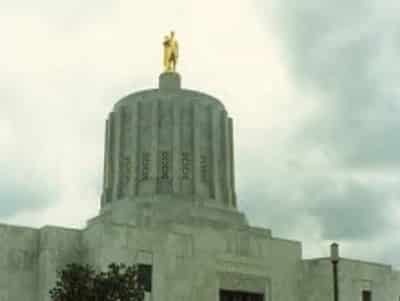 Click on Updates/Comments for current information from the Oregon Legislature including committee referrals, amendment information and news via RSS Feed. Click Bill Title to visit OLIS website for complete information. SB 124 – Relating to marijuana and school zones; declaring an emergency. Creates crimes of unlawful manufacture of marijuana within 1,000 feet of school zone and unlawful delivery of marijuana within 1,000 feet of school zone. SB 162 – Relating to marijuana and school zones; declaring an emergency. Prohibits marijuana grow sites and licensed producers, processors and sellers of marijuana from being located within 1,000 feet of school. SB 364 – Relating to the classification of marijuana offenses; declaring an emergency. Requires court to use current classification of marijuana offenses when determining if person is eligible for order setting aside conviction. Declares emergency, effective on passage. SB 445 – Relating to disclosure of information to harmful effects of marijuana; declaring an emergency. Requires medical marijuana facilities and marijuana retailers to post at facility or on premises of retail location notice of harmful effects of marijuana on pregnant women and potential for marijuana to cause birth defects. SB 460 – Relating to medical marijuana facility relocation; declaring an emergency. Directs Oregon Health Authority to adopt rules providing for relocation of registered medical marijuana facility. SB 464 – Relating to rules pertaining to possession and extracting of cannabinoid extracts from the cannabis plant; declaring an emergency. 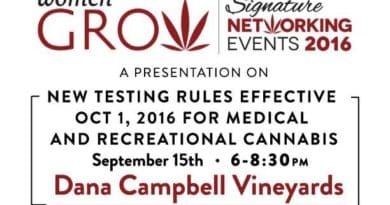 Prohibits registrant under the Oregon Medical Marijuana Act from processing cannabinoid extracts unless registrant is certified by Oregon Health Authority to process cannabinoid extracts. Requires authority to adopt rules regulating processing of cannabinoid extracts. SB 479 – Relating to the clinical research of cannabis; declaring an emergency. Creates Task Force on Clinical Research of Cannabis and directs task force to study and report on development of medical cannabis industry that provides patients with medical products that meet individual patient needs. 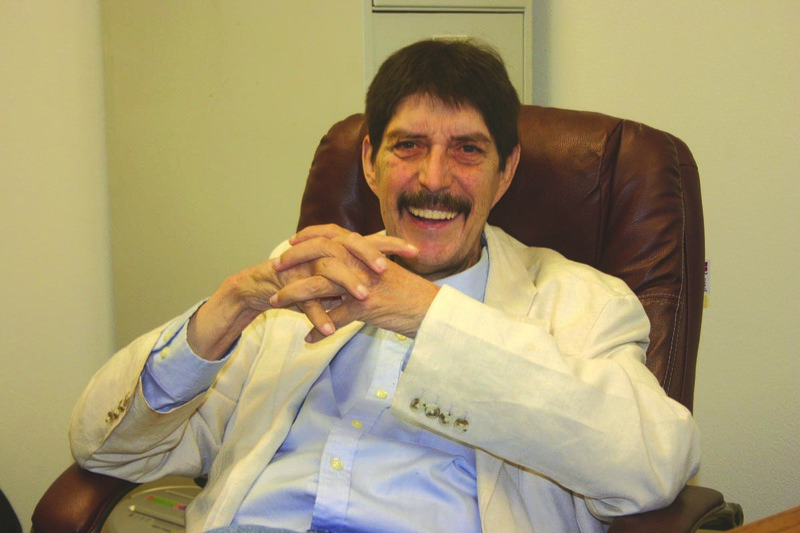 Establishes as semi-independent state agency Clinical Research of Cannabis Board. SB 542 – Relating to local governments’ regulation of marijuana; declaring an emergency. SB 599 – Directs Department of Justice to study and report on laws impacted initiative measures relating to marijuana. Directs Department of Justice to study and report on laws of this state impacted by vote on initiative measures relating to marijuana. Requires report to be submitted to interim committee related to judiciary no later than September 15, 2015. HB 2025 – Relating to driving while under the influence of intoxicants diversion agreements. Allows persons authorized to engage in medical use of marijuana to continue to use medical marijuana while participating in driving while under influence of intoxicants diversion agreement. HB 2033 – Relating to synthetically manufactured cannabinoids. HB 2040 – Relating to licensing of marijuana facilities within a mile of a school. Prohibits medical marijuana facilities and licensed producers, processors and sellers of marijuana from being located within one mile of school. Becomes operative January 1, 2016. HB 2041 – Relating to licensing of marijuana facilities within a mile of a school. HB 2147 – Relating to the taxation of marijuana; declaring an emergency. Directs Department of Revenue to conduct study on taxation of marijuana. Allows probationer or court to object to supervising officer’s proposed modification to special conditions of probation. Provides that possession, delivery or manufacture of controlled substance constituting commercial drug offense must be for controlled substance other than marijuana or marijuana product. Declares emergency, effective on passage. Prohibits Oregon Health Authority from issuing registry identification card to applicant if attending physician whose name is provided to authority by applicant has provided written documentation necessary for issuance of registry identification card for 450 or more persons who currently hold registry identification card. Creates exemption. HB 2668 – Relating to industrial hemp. Repeals statutes requiring industrial hemp growers and handlers to be licensed by State Department of Agriculture. HB 2676 – Relating to marijuana and registration of production sites, transfers medical dispensary autority; declaring an emergency. Directs Oregon Liquor Control Commission to register medical marijuana production sites, processing sites, wholesale sites and individuals who perform work that requires handling marijuana. Provides for testing of marijuana through existing laboratory accreditation program. Transfers regulation of medical marijuana dispensaries from Oregon Health Authority to commission. HB 2781 – Relating to prohibition against registry identification card holders at child care facilities. Prohibits Office of Child Care from certifying, registering, recording or providing state funds to child care facility when person with regular presence at facility possesses medical marijuana card. Prohibits child care facility from hiring, employing or otherwise engaging services of person who possesses medical marijuana card as person with regular presence at facility. HB 2821 – Expands definition of “debilitating medical condition” for purposes of Oregon Medical Marijuana Act. Expands definition of “debilitating medical condition” for purposes of Oregon Medical Marijuana Act. Provides that person registered with Oregon Health Authority to engage in medical use of marijuana may designate organization providing hospice, palliative or home health care services or residential care facility as primary caregiver. HB 2854 – Relating to offenses committed in a motor vehicle. Modifies offense of smoking in motor vehicle to clarify that offense applies to smoking marijuana and use of electronic cigarette to vaporize cannabinoid solutions. Provides that Oregon Liquor Control Commission may delay issuing licenses to applicants for processing marijuana products that are intended to be consumed as food or as potable liquid until July 1, 2016. Sunsets January 2, 2017.